The IT industry is one of the fastest moving sectors in the world. The rate of technological innovation and the pace with which enterprise needs upscale means that new roles are being created on a constant basis. Over the past 5 years, a diverse range of roles has steadily emerged. In this article we look at IT roles that didn’t exist 5 years ago. Not too long ago, virtual reality was something you saw in science fiction films but today virtual reality has become one of the most vibrant new innovations. In case of life imitating art, business owners have been looking to virtual reality to help increase their organizational potential. As a result, virtual reality consultants have come to the fore to help companies to martial this emerging technology to their cause. Virtual reality consultants average a daily rate of around £200-300 and are constantly looking for ways to aid businesses deploying virtual reality solutions. This is mainly within large corporations, but virtual reality technology is also being implemented in small businesses and SME’s as well. If you search for estate agents on a platform like LinkedIn, you’ll notice that many firms are moving to doing VR tours of their properties. In many cases this is done under the guide of virtual reality consultant to make this content look professional. A cloud architect is responsible for helping companies to deploy cloud technology and for designing a tailor made strategies to support this new technology. This includes setting up and maintaining public, private and hybrid cloud environments. Once the foundations have been laid down the cloud architect often takes on a more consultative role to help the company stay up to date with ongoing developments. It goes without saying that a cloud architect needs to have a thorough understanding of cloud computing technology. However they also need to have knowledge of programming languages like Python, Java, PHP and Ruby. In terms of professional qualifications most cloud architects have a BS degree in computer science or mathematics. 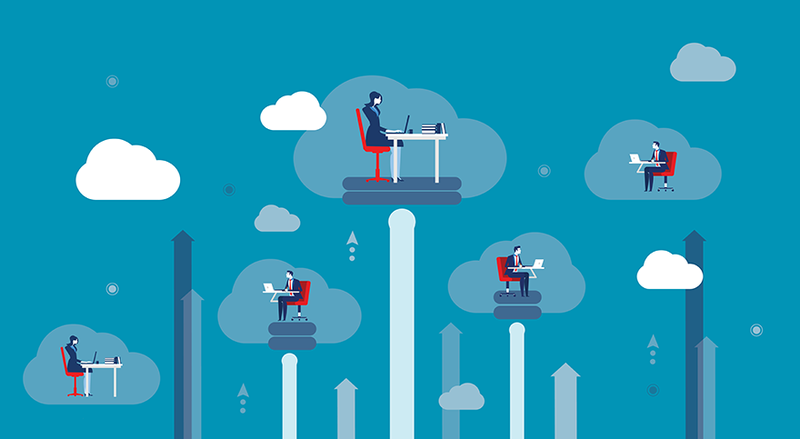 Cloud architects can expect salaries upwards of £67,000 and when working on contracts, they normally get daily rates of £350-500. Without a doubt, the most disruptive technology to emerge over the past few years has been blockchain. Blockchain rose to prominence under the banner of cryptocurrency but is now widely known to have a diverse range of other applications. Today this potent technology is redefining everything from the supply chain to how we manage our data online. With an average daily rate of £400-550 in the UK, blockchain developers are in incredibly high demand. Most companies looking to hire blockchain developers are trying to design their own platforms or deploy block chain technology within their enterprise. As such, blockchain developers need to have a strong software development background in order to develop new applications up to the task. 5 years ago user experience wasn’t half the topic it is today. Now companies around the world are jumping on the user experience bandwagon and hiring user experience managers. This is far from an empty trend as the online user experience is one of the ways that modern consumers interact with brands the most. With an average daily rate of £280-400, user experience managers are some of the most sought after talent on the market. The user experience manager is responsible for identifying what customers want when interacting with a website or mobile app. Once this is understood the role is all about finding out how to use technology in order to develop a positive reaction from users. A user experience manager needs to have organizational skills and attention to detail to pinpoint ways that current technology could be improved. In the last few years, data scientists have taken on an almost mythical position in the IT community. They have developed a reputation as technical wizards capable of wading through waves of algorithms and mind-boggling data sets to develop clear business insights. In the UK, the average daily rate for a data scientist is £400-500 but this figure can go up dramatically depending on the company and projects they are working for. The educational requirements to be a data scientist are quite extensive. A degree in Computer Science is a prerequisite and many companies are actually only open to candidates with a Masters or a PHD in Maths or Computer Science. At this level data scientists are fluent in programming languages such as Python and SQL. Are you looking for more Tech professionals in the industry? Click HERE!